At some point nearly every breeder will have to face hand feeding or tube feeding kittens. Sometimes disastr strikes and mum is unable to feed her kittens and this is where a breeder has to step in and hand feed the kittens. The first point I would like to make is that tube feeding kittens should be a last resort when it comes to hand rearing kittens. 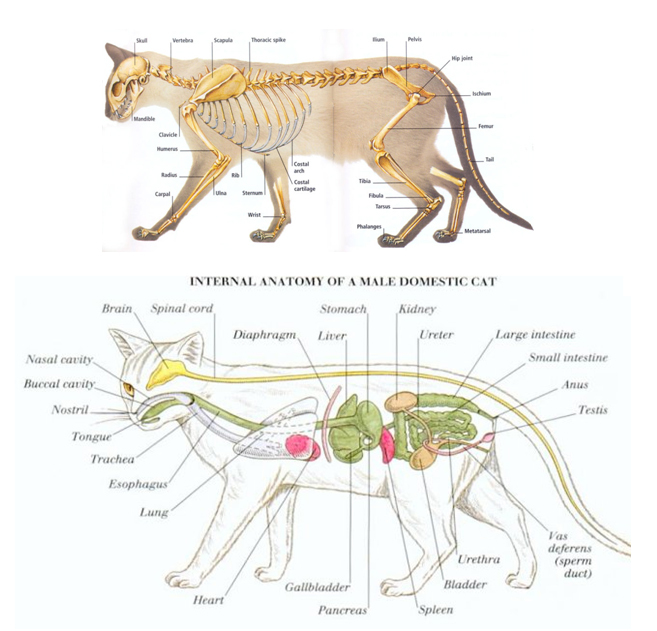 You should always seek advice and instructions from your veterinary surgeon and request that they supply you with the equipment and show you how to do it. It is always preferable to top up kittens and let mum do most the feeding but sadly this is not always an option. Tube feeding kittens is one of the quickest methods of getting nutrition into a kitten who for whatever reason cannot feed from Mum by itself. It is best to attempt syringe/bottle feeding first if the kitten seems strong enough. 0-2 weeks: 10 feeds in 24 hours at 2 – 2.5 hour intervals. 2-4 weeks: 7 feeds in 24 hours at 2.5 – 3.5 hour intervals. Always follow the manufactures guides when preparing powdered kitten milk. There are several brands available on the market. You could talk to other breeders to help you make up your mind what is best for you to use. Make sure you check the temperature before you give the milk to the kitten which should be the same temperature as your skin (just like when feeding a human baby). Obviously as your kittens grow older they will require more milk and to calculate the amount of formula required for any particular age it is suggested you consult the instructions of your choice of milk formula, however below is a quick guide of the daily intake which should be divided over the course of a 24hr period. During week one give about 15 ml for every 100 grams (3.5 ounces) body weight. During week two give 15-18 ml for every 100 grams body weight. During weeks three and four give 20 ml for every 100 grams body weight. Thin blunt ended medical tube. It is important that you use soft flexible tubing, soft catheter tubing is good. Tubing should not be more than 2-3 mm wide. The first thing to do is to measure the length of the tubing. Ideally this would be done by your vet. The stomach is located by the last rib; the lungs are further up than this. See diagrams. You need to note how much spare tubing you have left over too. This will help you when you insert the tube to know it is in the stomach and not the lungs. Filling the lungs with fluid will kill the kitten so it is important to get this right. The next stage is to sterilize all the equipment and prepare your kitten formula milk. Make sure you wash your hands too. Try to keep everything as clean as possible to avoid infection. Sterilize a dish and put a small amount of milk in this too. I will come onto why in a moment. Once all your equipment is ready and your milk is prepared you are ready to insert the tube. Place the tube in the dish of milk and let it drip off. This is to lubricate the outside of the tube. It is also possible to use KY jelly if preferred. Select the kitten to be fed and hold it in your hand with its tummy on the palm of your hand. As best you can position the head so the throat and neck is as straight as possible. Place the tube in the side of the kitten’s mouth and push gently. Once the tube reaches the back of the throat it will stop roll the tube from side to side and continue to push gently. The kitten should then swallow and the tube will go down easily. This is the point to check how much tubing you have left. It should be the correct amount to indicate it is in the stomach. If the tubing has stopped and there is too much left remove it and try again. When you are happy that the tube is in the correct location, hold the end of the tube upwards and attach the syringe with the milk in the end of the tube. Insert the milk slowly down the tube directly into the stomach. When the milk is gone bend the end of the tube back on itself to place a tight kink in it and pinch the kink. Pull the tube out of the kitten’s mouth. The kink will create an air lock which will prevent any milk flowing back down into the kitten as you remove the tube. This reduces the risk of any fluid being inhaled. Please remember you must always consult your vet prior to attempting tube feeding this article is for information only, we cannot be held responsible for your actions after reading this. Many thanks to Kate Burrows of Kaypez Siamese for this informative article on Tube Feeding. Siamese Cat Breeder would like to reiterate Kate’s advice in that veterinary advice must be sought before deciding to tube feed. 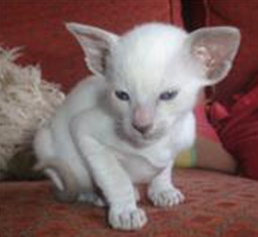 Kate is a regular contributor to Siamese Cat Breeder and also breeds Siamese cats and kittens under the prefix Kaypez.